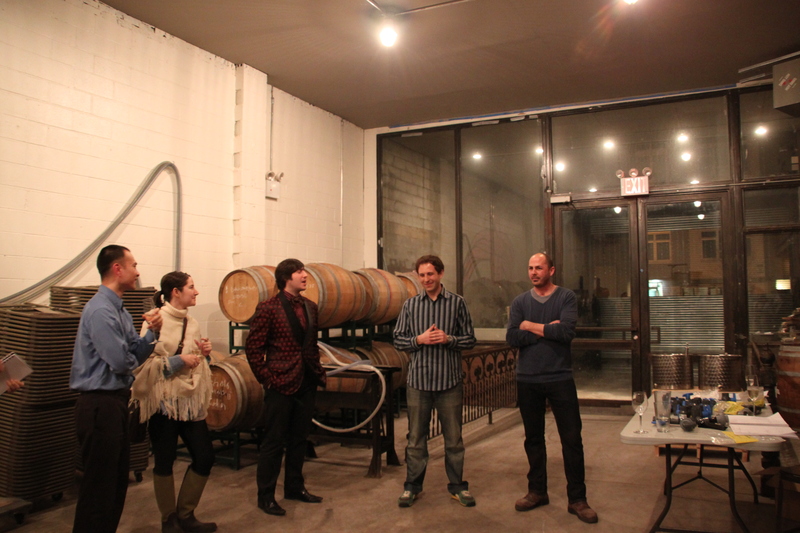 On Monday night we attended the JBF Greens event, “Blending at Brooklyn Winery“. 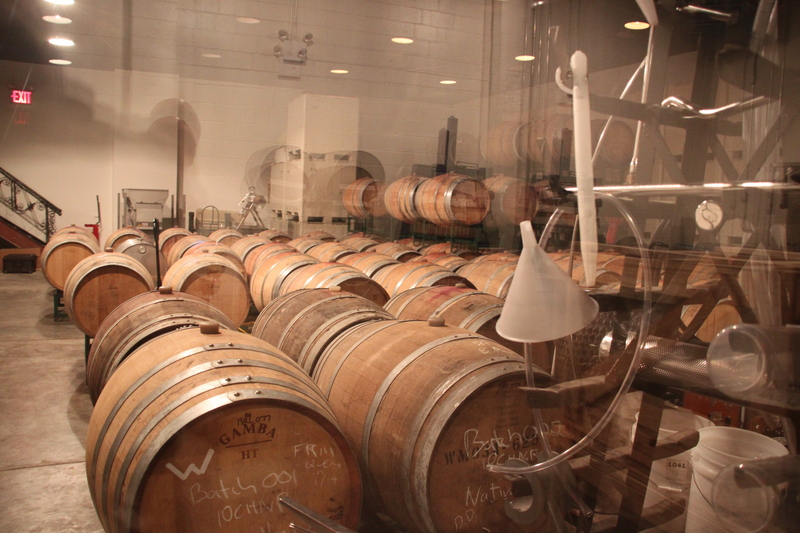 I hadn’t been out to Brooklyn Winery yet, which just opened last fall. The space was impressive; shiny new tanks, a temperature-controlled barrel aging room, a pretty bar and great nooks and crannies on two levels for having a party (they took over a nightclub). My favorite part, other than all of the winemaking equipment of course, was the (free!) photo booth in the bar. 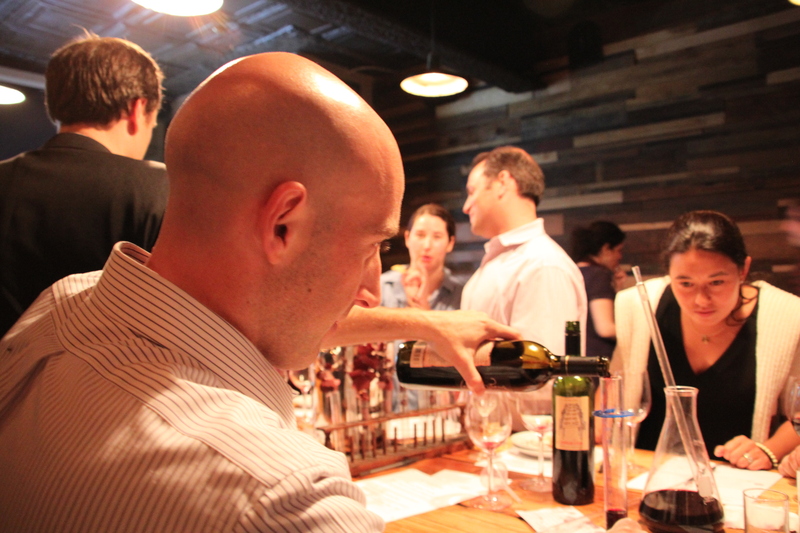 Conor, the winemaker, is on the far right and Brian, the CEO is on his left. Conor is from the West Coast and most recently worked at Crushpad. Brian's background is in social media. Jonny Cigar, a member of The Noble Rot, the duo that led our blending experiment is to Brian's left. Before getting down to business, we got a tour of the facility. The winery is bringing in grapes from the Finger Lakes, the North Fork, various locations in California, and from Chile. The first bottlings (some whites and some rose) will be ready in May. The grapes arrive so fresh, thanks to refrigerated trucks and a blanket of nitrogen, that Conor is able to do some native fermentation. 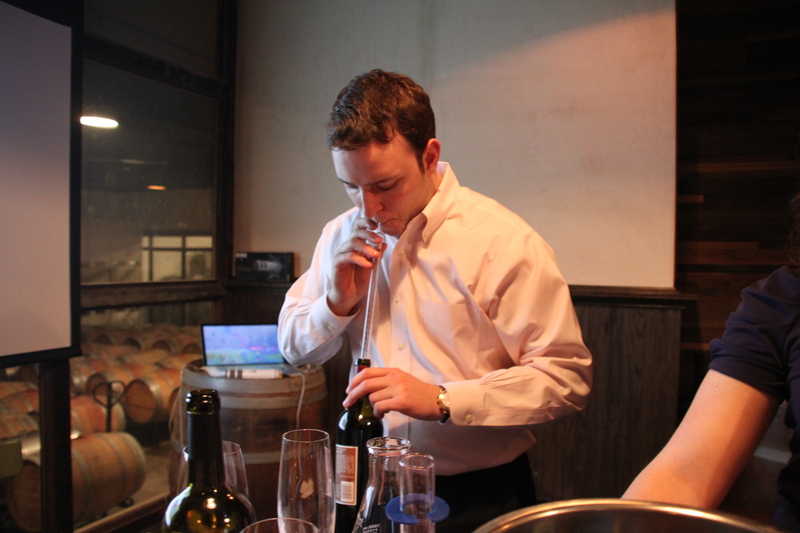 After the tour, we were broken into 4 groups, and instructed to create several meritage blends. Meritage rhymes with heritage and pays homage to Bordeaux-style blends. 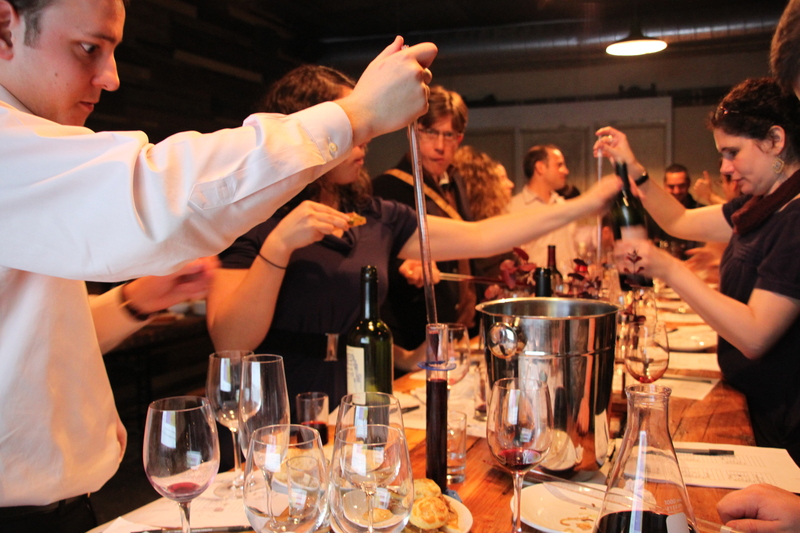 Each team was given commercial bottlings of the 5 Bordeaux varietals, pipettes, and beakers. The idea was to create as many blends as time would allow and then to submit your best blend for Brian, Conor and The Noble Rot crew to judge. The group, measuring and blending. Each team had a "sucker". When you admit to being a biochem major in college, you get the pipette. Noah and I were on rival teams. I would've taken more photos, but I was shoo-ed away from his end of the table by his teammates who claimed I was distracting him. I’m proud to announce that my team won top prize (glory), while Noah’s team came in second place. Our winning blend was 35% Merlot, 35% Cabernet Sauvignon, 15% Malbec, 10% Petit Verdot and 5% Cabernet Franc.